Texas butterfies, it’s a topic that not only could fill books, but also it literally does fill books. The state tops the list of states in butterfly diversity, with well over half of all the United States butterflies found in the state. 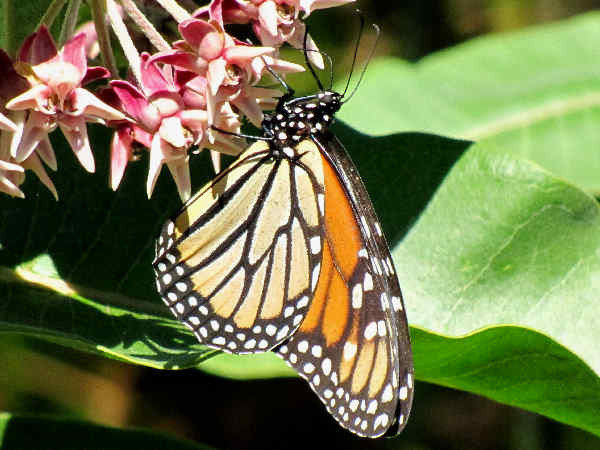 According to the North American Butterfly Association (NABA), three counties in the Lower Rio Grande Valley, Cameron, Hidalgo and Starr, host approximately three hundred of Texas’ approximately four hundred and fifty butterfly species. In fact, a handful of these types of butterflies are subtropical and tropical species that can only be found in South Texas. It’s the northern most edge of their range. The video shows five such butterfly species: Blue Metalmark, Mexican Bluewing; Band-celled Sister; Crimson Patch; Red-bordered Pixie. 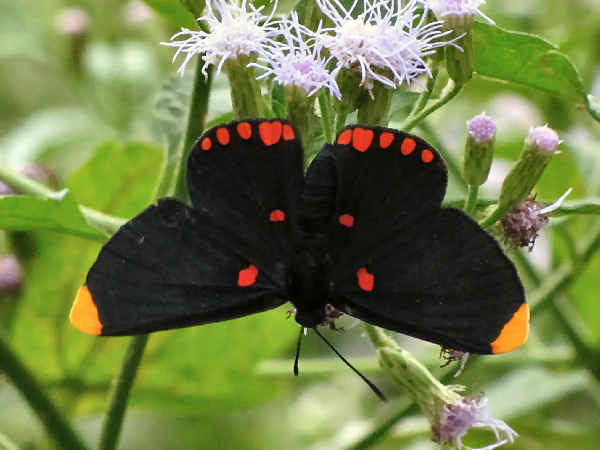 Most of Texas north of the area also promotes butterfly diversity, with butterfly garden tips, and butterfly checklists available in most cities. Butterfly festivals happen in South Texas during the Fall. In some fields it looks like tens of thousands of butterflies have hatched and are flying together. It’s a sight better than any butterfly house in the United States. For butterfly enthusiasts it’s a sight not to be missed. Can’t get to Texas in the fall? No worry. Tourists can literally find butterflies in Texas throughout the year, so there’s never an excuse to be bored. The top picture shows a Monarch Butterfly, the official Texas State insect. This introduction to Texas butterflies provides only a few butterfly pictures. Please click on the green butterfly button for additional butterfly pictures and information. Butterfly identification usually begins with color. The article divides Texas butterflies according to families, which also conveniently groups butterflies into color. Texas butterflies diversity starts with the family Pieridae. Most people know them as the butterflies with white wings and yellow wings. Most states have more of the yellow butterfly species. Texas has a nice balance. The picture shows a Giant White. It’s primarily a South Texas species although a few stray sightings are documented in some Midwest states. Common Melwhites, Mexican Dartwhite and Costa-spotted Mimic-Whites are also South Texas specialties, and still mostly rare finds. 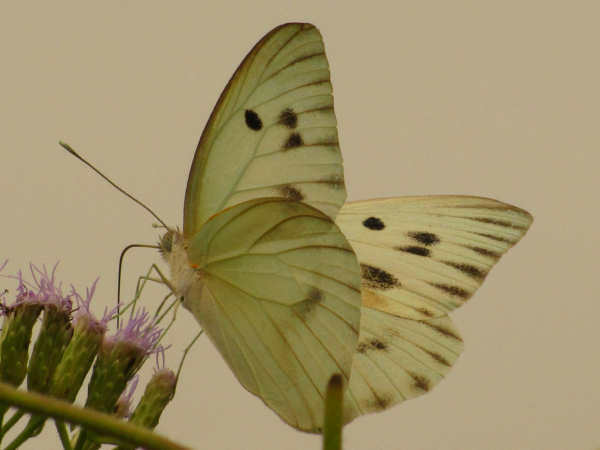 The remaining white butterflies are common across much of the United States. Close to two dozen yellow butterflies call Texas home. They tend to be regional species. Interestingly enough, all the species can be found in South Texas. 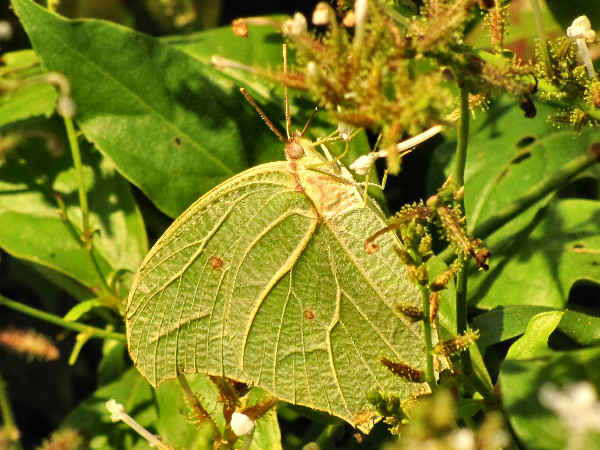 The picture shows a Yellow Angled Sulphur. They are the White Angled Sulphurs are great finds during the season. Copper butterflies are most prominent along the West Coast, so that’s about the only category of butterflies the state lacks. 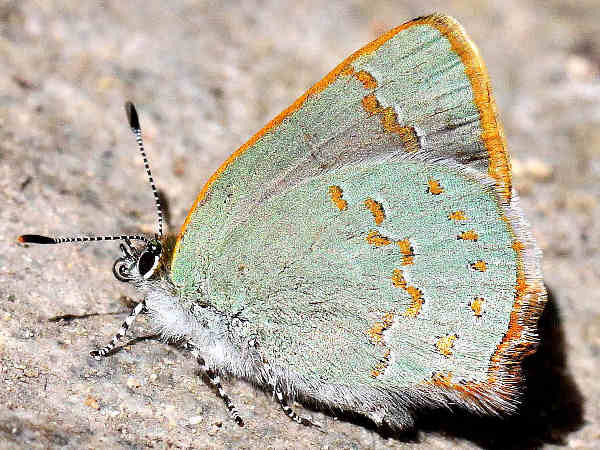 The large number of Hairstreaks, including ministreaks and groundstreaks more than makes up for it. The picture shows an Arizona Hairstreak. 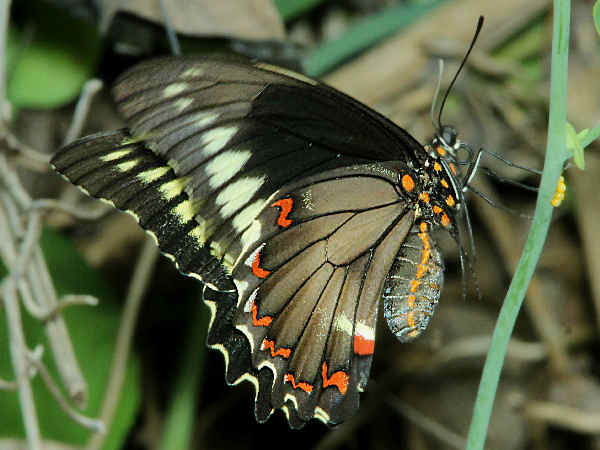 The presence of a large number of tropical butterflies, including the crackers and sailors, explains the large number of Brush Footed butterflies in Texas. The picture shows an Empress Leila. 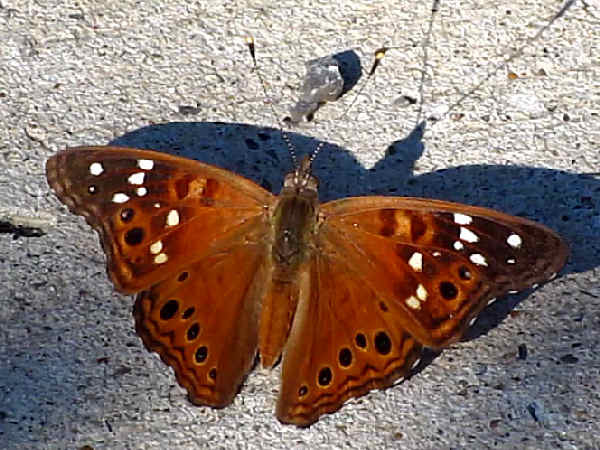 Texas covers all the so called Royalty butterflies, with Emperors, Empress, Monarchs and Queens. As the list of brushfooted butterfly species presented below also shows, many Texas butterflies are similar to those on both the East and West Coasts. Checkerspots, crescents and the Vanessa genus (Red Admiral and Ladies) are all very well represented. Please press the butterflies button for a more complete butterfly field guide with pictures and descriptions covering most of these species. It will also help answer additional butterfly identification questions. Metalmark butterflies are most diverse in the tropical areas of the Americas. That explains the unusually high number of Texas metalmarks. Some especially colorful species such as Pixies and Blue Metalmarks can be seen in South Texas. The picture shows a Red-bordered Pixie. Most people rightfully associate the Skipper butterflies with the color brown. 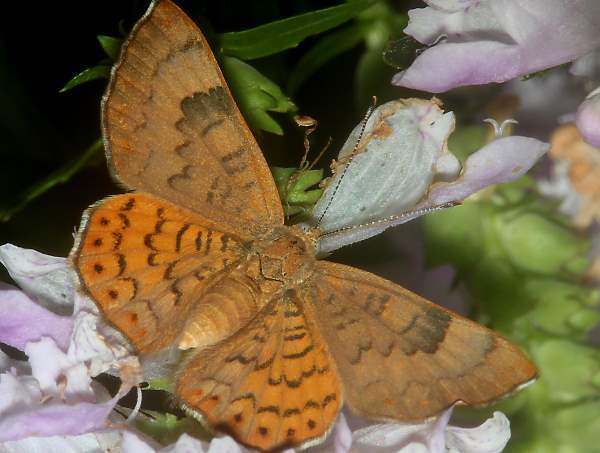 Texas is filled with close to two hundred skipper species, often with brown wings. 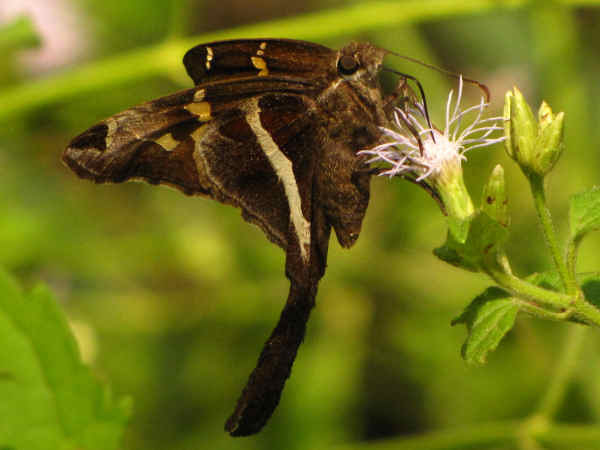 The picture shows a White-striped Longtail. They are one of about fifteen different Longtail species found in South Texas.